Patrick Andreoli-Versbach and Frank Mueller-Langer (two economists from the Max Planck Institute for Innovation and Competition in Munich) have published a paper on strategic delay and the ambiguous welfare effects of mandatory data disclosure (2014). In the first place, the author might strategically delay the submission in order to publish further work on the basis of the data and preventing other researchers from working with it at the same time. 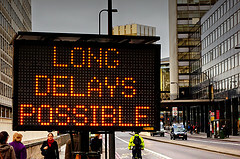 The author’s decision whether he or she will strategically delay the submission depends on the author’s impatience to publish, the value of the data, and the factor by which the data’s value decreases with a rising number of publications based on it. Secondly, the author might reduce the effort to create data, because he or she would not be able to use the data exclusively for him-/herself after publication. On the basis of a welfare analysis, Mueller-Langer and Andreoli-Versbach (2014) conclude that a mandatory data disclosure policy has negative welfare effects if it creates strategic delays. In this case, the data cannot be used by the research community for further research. But if researchers have no incentives to delay the time of publication and if the positive effect of data availability is higher than the negative effect of reduced efforts during data creation, the existence of a mandatory data disclosure policy will be welfare enhancing. Mueller-Langer, Frank; Andreoli-Versbach, Patrick (2014). Open Access to Research Data: Strategic Delay and the Ambiguous Welfare Effects of Mandatory Data Disclosure. Munich Discussion Paper No. 2014-32. http://hdl.handle.net/10419/104444.